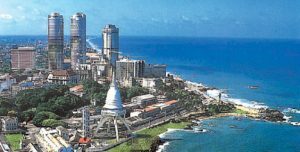 Colombo is the capital of Sri Lanka. It has a long history as an ancient port serving the east-west trade routes. Ruled successively by the Portuguese, Dutch and then the British. That heritage is reflected in its its architecture. You will find colonial buildings mixed with high-rises and shopping malls. The imposing Colombo National Museum, dedicated to Sri Lankan history. Borders sprawling Viharamahadevi Park and its giant Buddha. There are some high end restaurants too. Five star hotels tend to have the best restaurants. For example take the Tao Restaurant by the Cinnamon Grand Hotel. Alternatively Table One in the Shangri-La. However one that stands out as unique and popular is The Ministry of Crab. Colombo even caters for vegans with the VOV Cafe in Wellawatta, Colombo 6. For museums. 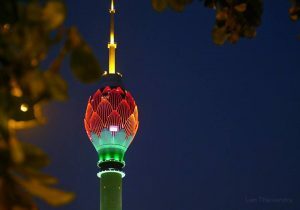 The top preferred tourist site is the Colombo National Museum. It is a museum of Asian civilisations. Other museums include the Central Bank Currency Museum and the Bandaranaike Museum. An additional museum that might peak your interest is the Traditional Puppet Art Museum.